I just love cinnamon rolls! They remind me of winter weekends when I grew up, my mom use to bake them almost every weekend from November to March. I remember her kneading the elastic dough, letting it rise under a thick winter blanket. The smell, ohhhooo the smell of this yeasty pastry coming out of the oven, it is burned in to my brain. As much as I love cinnamon rolls, I always found that working with yeast dough was quite challenging. I never seem to get the right fluffiness of pastry in the end. Apparently if you knead the dough enough you get the perfect fluffiness result at the end! But you really have to knead for a few good minutes, until you get that elastic dough. You can fill it with cinnamon; chocolate; peanut butter or any other filling you desire. 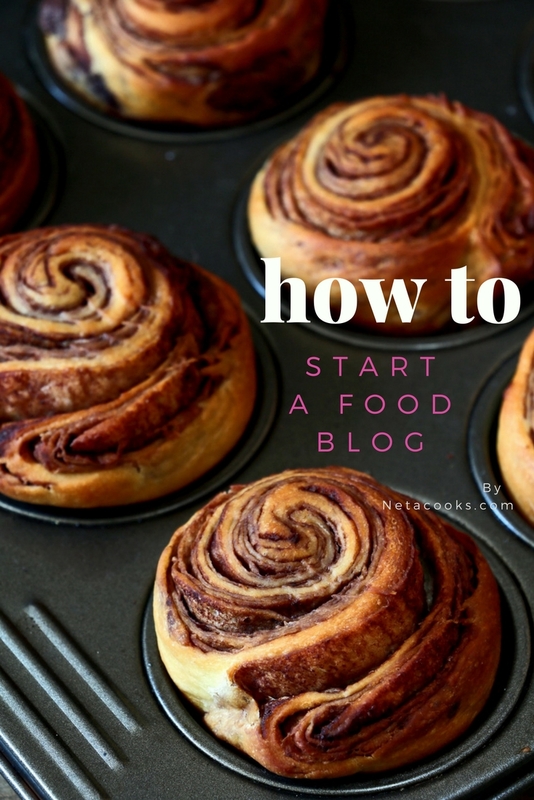 You can freeze the pre-baked rolls, and have fresh cinnamon rolls when ever you desire. If you take a liking this idea remember that you need to thaw them for about 8 hours before you bake them. Thaw the frozen rolls, covered with a dry towel , on your counter. So, it can be a great brunch pastry come Christmas morning. This recipe is based on this great recipe by 101cookbooks. I tried it a few times now, and it is prefect! Also, you can change the filling very easily, I tried it with hot chocolate powder and chocolate chips, and it was perfect. Sprinkle the yeast over the warm water in a large bowl. Add a pinch of the sugar and stir to dissolve the yeast. Let stand for a few minutes or until foamy. Add the remaining sugar, the egg, melted coconut oil, and cinnamon. Stir until smooth. Stir the salt into the flour, then gradually add the flour to the bowl, a bit at a time, incorporating the flour after each addition. Transfer the dough to a floured counter top and knead for 8-10 minutes, or until the dough is smooth and elastic. Transfer the dough to a lightly oiled bowl, turn it to coat with oil, and cover with a kitchen towel. Let the dough rise in a sunny or warm place until doubled, about an hour. Cut the dough in half on a floured counter top and form each piece into a ball. One at a time, roll each piece into a rectangle 12 inches/30 cm and 1/2 inch/12 mm thick. For the filling, combining the cinnamon and sugar in a small bowl. Brush melted coconut oil evenly over one rectangle of the dough. Sprinkle half of the sugar mixture evenly across the butter. Roll the dough up tightly lengthwise, then turn it so that the seam side is down. Cut the roll into 12 equal slices, a serrated knife works best. Line a 10-inch (25.5 cm) skillet or a pie dish with parchment paper, you want to arrange the slices about 1/2-inch from each other on in the baking dish. They rise and expand, and end up nice and snuggly. Repeat with the remaining rectangle of dough and filling. You can freeze any slices you aren't going to bake at this point. Cover the rolls you are going to bake with a dry towel and let rise, it is winter so I let the rolls rest next to the warm radiator, until doubled, about an hour. Brush the buns with the egg wash. Bake at 400℉ (200℃), for 15-18 minutes or until golden brown. Remove from the oven and serve warm if possible. DID YOU MAKE THIS Dairy Free Cinnamon Rolls?